The design specifies that virtual desktops must be available to remote users without having to use a VPN (see part 1, Requirements, R2). To provide this, we will install and configure a VMware View Access Point in the DMZ. 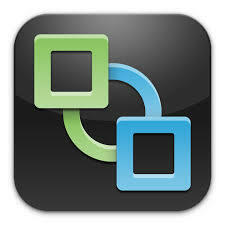 VMware introduced the Access Point in Horizon View 6.2. It is a hardened SUSE Linux appliance that can (in most cases) replace a View Security Server running on Windows. Access Point is primarily designed to allow secure remote access to VMware end-user-computing resources from authorized users connecting from the Internet. Unfortunately, the design is constrained by budget (part 1, Constraints, C4), so whilst deploying multiple Access Points would not increase costs, to make use of them would require an additional load-balancer. Therefore this single point of failure must be flagged as a risk and recorded. The Access Point will be placed in the DMZ network. The design assumes this is in place and has been secured accordingly (part 1, Assumptions, A5). Before the Access Point can be deployed a network profile needs to be created on the vCenter. Use a web browser to browse to https://view3.nl.mdb-lab.com (substitute accordingly). As our Access Point will be web-facing we will need to use a genuine SSL certificate from a recognised certificate authority. Submit the CSR to the certificate authority to generate the certificate. Download the certificate along with the certificate chain. You should now have two PEM files each in a single line. To deploy the Access Point we will use the ovftool, which you can download from https://my.vmware.com/group/vmware/details?downloadGroup=OVFTOOL400&productId=353. 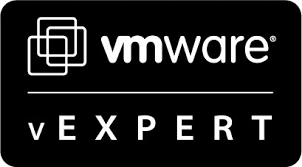 To test the deployment, open the VMware View Client on a device that is external to the network and connect to the published URL: Enter your RSA SecurID PIN and token and click Login: Enter your Active Directory credentials and click Login: Once authenticated and logged in you should see your assigned desktop pool(s) and published applications. In this series we have deployed a complete virtual desktop solution using VMware Horizon View 6.2. Please keep an eye out for further posts on View, especially the design element. Thanks a lot mate for this great series.